Carina wrote in to the show haunted by horrific grief. 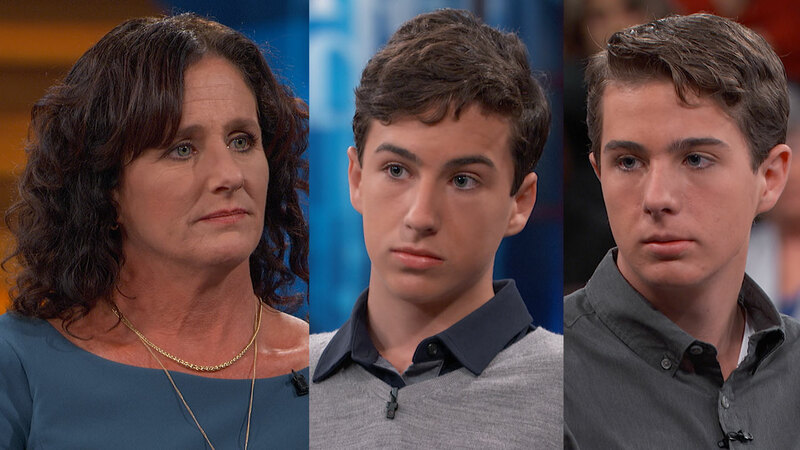 She says she needs Dr. Phil’s help to put her life back together for her two teenage boys. She says she now has to drink herself to sleep at night to chase away her thoughts of the gruesome murders of her two eldest sons, her ex-husband, his girlfriend, her young son and her father on a camping trip that took place three years ago. Her sons, Quinton and Roland, say they are both concerned about their mom. They both admit to not confronting her about her behavior because they do not want to trigger her rage. Quinton says he needed to take over as the man of the house and is worried what will happen if he’s not around.TELL DR. PHIL YOUR STORY: Is Dr. Phil your only hope?